Celebrate the season with this elegant bouquet. 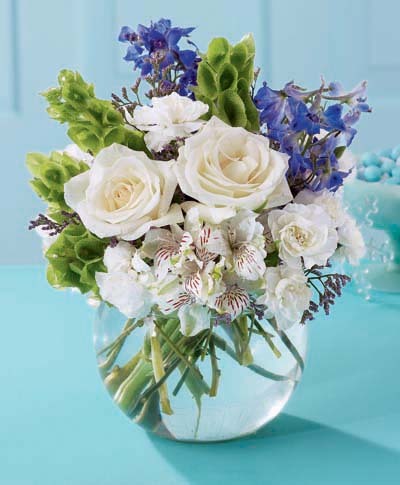 White roses, mini carnations and alstroemeria are complemented by blue delphinium and Bells of Ireland in a simple glass bubble bowl. A lovely gift to give or keep.